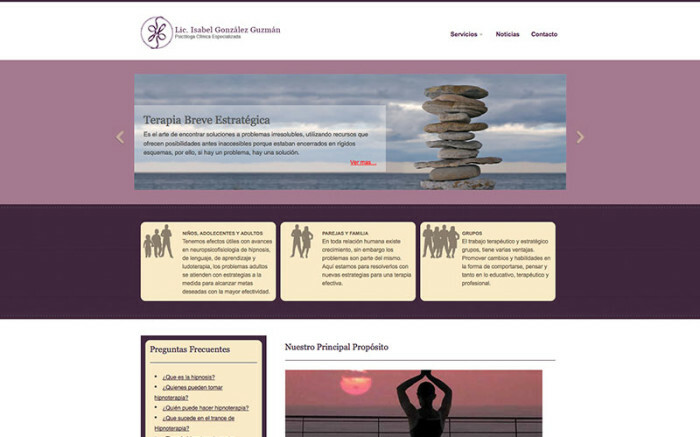 Web design and development for strategic therapy and hypnosis therapist. This site was designed and developed in accordance with the colors and image reflected by the specialist in hypnosis and TBE. Developed in WordPress system. Web positioning SEO campaign was also conducted.